Wrotter. An elegantly simple solution to a perennial problem. 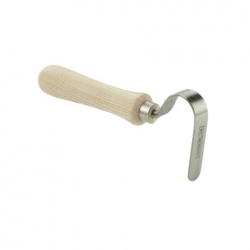 Ash handle The “Wrotter” is an old Dutch word which comes from the northern part of the Netherlands called “Frisian”. Wrotter simply means “Tough Worker” which adeptly describes this amazingly useful tool beautifully. 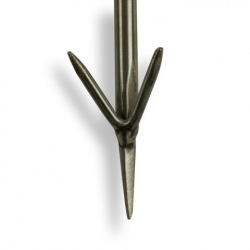 The unique shaped and precisely angled head allows easy weeding around established plants. 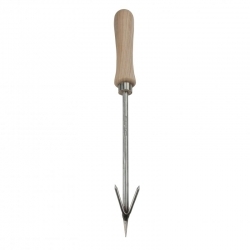 It is easy to push in to the soil to remove the roots of deep and tap rooted weeds allowing their removal rather than cutting them off and is far superior to a hoe for this job. 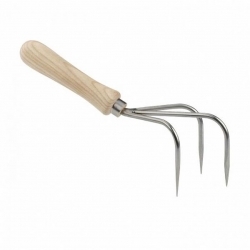 Great for removing seedlings, weeding in tight spaces amongst borders and where it is hard to access.